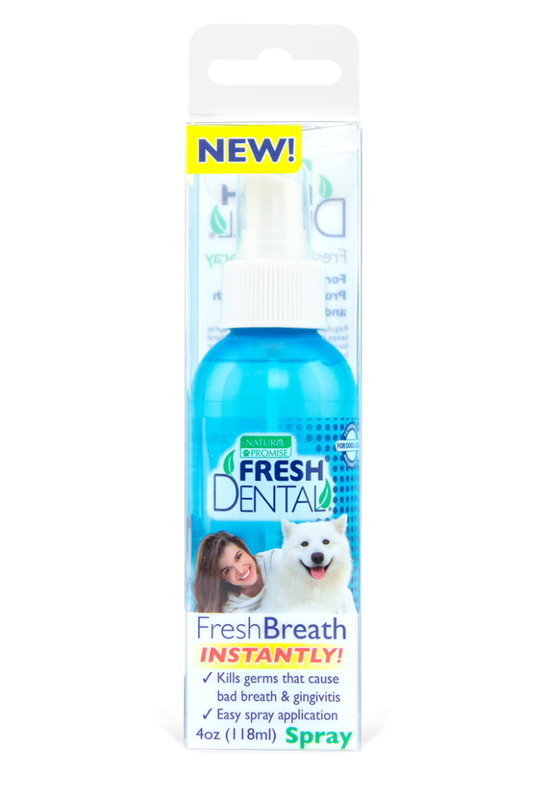 Fresh Dental Spray is made with natural ingredients you can trust! 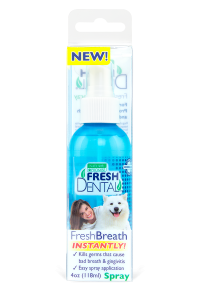 Fresh Dental Spray provides instant fresh breath and kills the germs that cause bad dog breath and gingivitis. 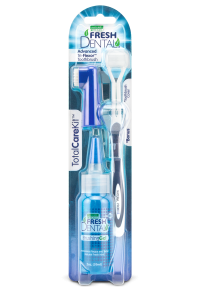 Regular use of Fresh Dental Spray will keep the teeth and gums clean. 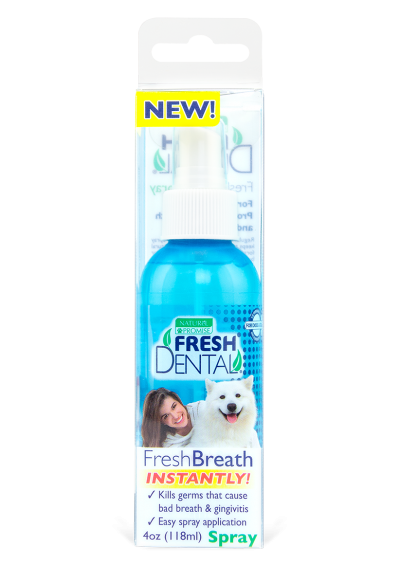 Fresh Dental Spray is easy to use and provides instant fresh breath for that stinky dog breath. 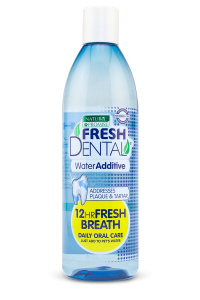 Purified Water, Glycerin, Natural Mint, Baking Soda, Polysorbate 20, Natural Derived Alcohol, Green Tea Leaf Extract. 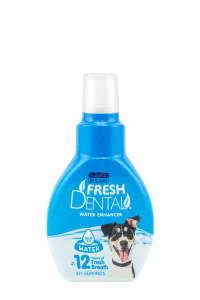 Expose your dog’s teeth and gums by gently pulling back their lips. 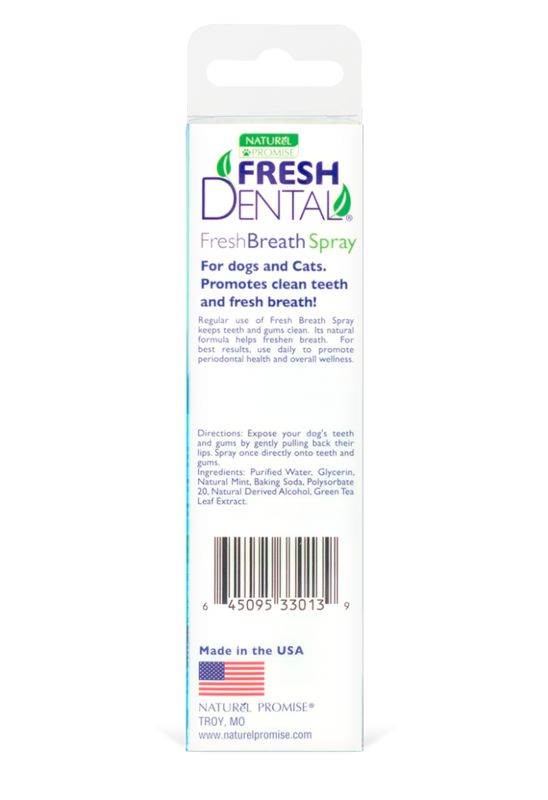 Spray once directly onto teeth and gums.